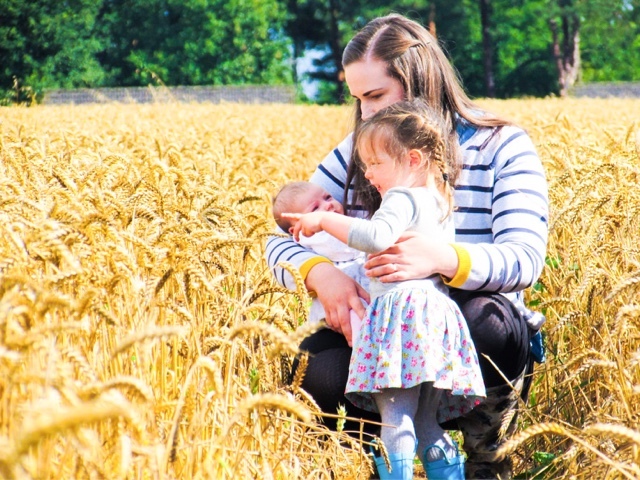 Over two years ago I remember coming home from hospital with a tiny Isabella, our breastfeeding journey had started a mere 20 minutes after giving birth and I had been feeding in my pyjamas for most of the time in hospital. Suddenly, I was looking at my wardrobe contents with despair - there was nothing breastfeeding friendly. 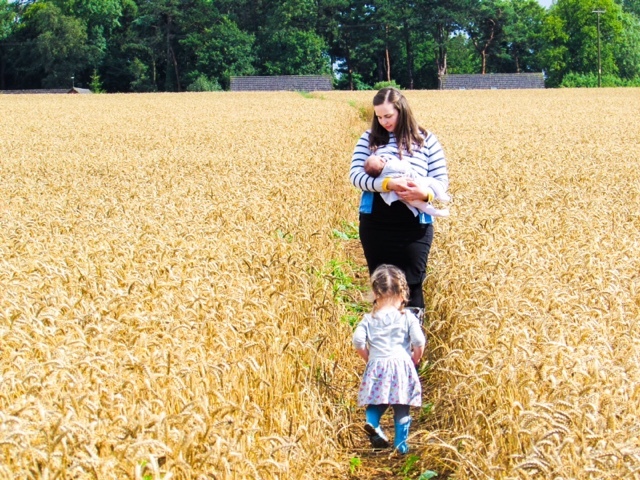 Not only had my body shape changed a lot post pregnancy, but I wasn't prepared for the world of breastfeeding. Over time I discovered the whole wearing two layers trick, so that the top layer can be lifted up and the bottom layer covers your modesty. As someone who never wears trousers or jeans I still struggled with finding suitable clothes, a lot of time was spent browsing online. 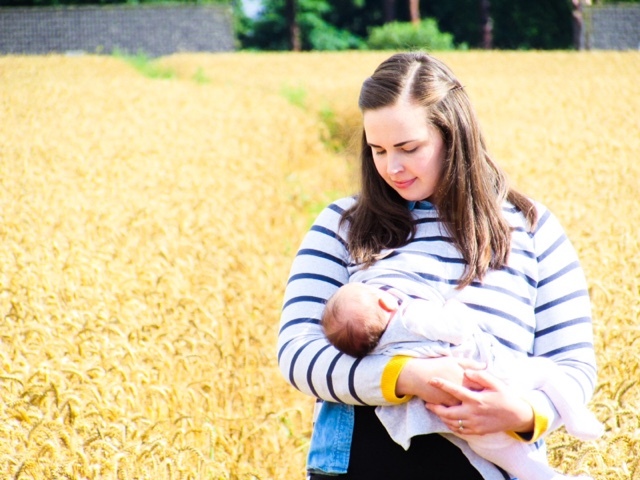 Fast forward to the birth of Poppy and once again I was beginning a new breastfeeding journey, but this time I knew what to expect! Over the years I had also come across a lot of different maternity brands, many of which offered nursing clothes too. One of these brands was Frugi - a vibrant company offering clothes and bedding made from super soft organic cotton. The breathable qualities in organic cotton make it perfect for precious baby skin, as well as keeping mummy's nice and cool. 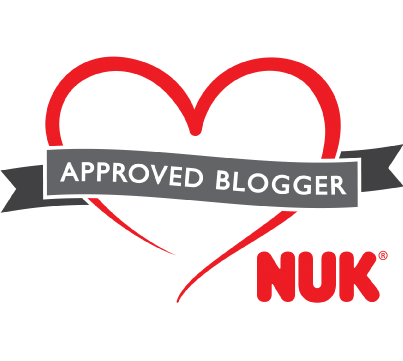 I was kindly sent the Frugi Juniper Jumper to wear while breastfeeding Poppy and there are so many things I love about it. Each side has a long slit making feeding a lot easier whilst providing coverage, no need to balance a muslin cloth over your shoulder! As you can see from the photos it was easy to feed 'on-the-go', whilst still maintaining my modesty. This is exactly what I need, as a parent of two because in reality most of my feeding happens while doing something else. Forever multi-tasking! The design also makes it suitable for taking you through pregnancy, into nursing and then life afterwards too. The jumper is made from such soft cotton, as with all Frugi clothes, making it so cosy for the quickly approaching autumn/winter seasons. The pop of colour on each cuff adds that extra bit of detail, which I love. In my opinion you can't beat having a striped jumper in your wardrobe, it's such a classic and timeless design. In fact when I look through my wardrobe nearly all of my jumpers, tops and blouses have some kind of stripe on! 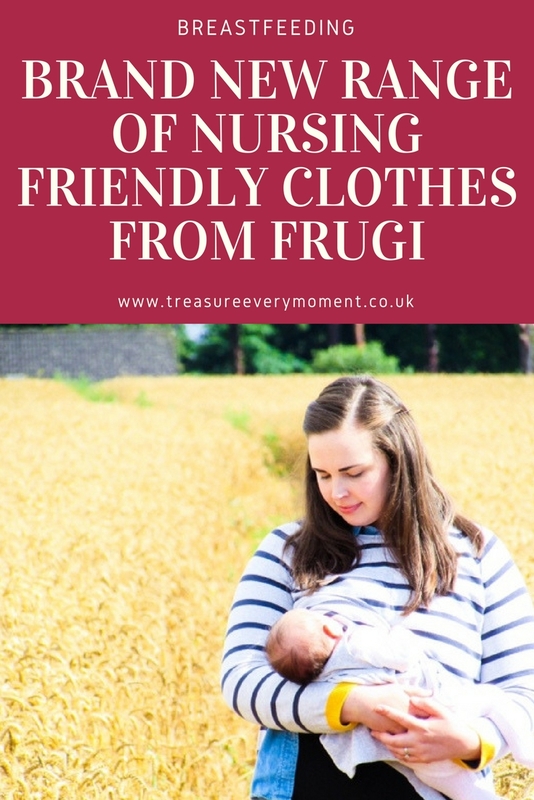 Check out the whole range of nursing friendly clothes from Frugi here. 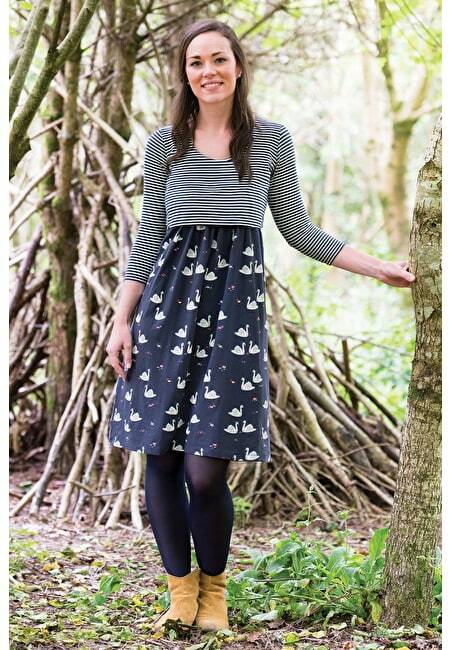 I have heard lots of good things about the brand Frugi and glad to know they do breastfeeding friendly clothing too. 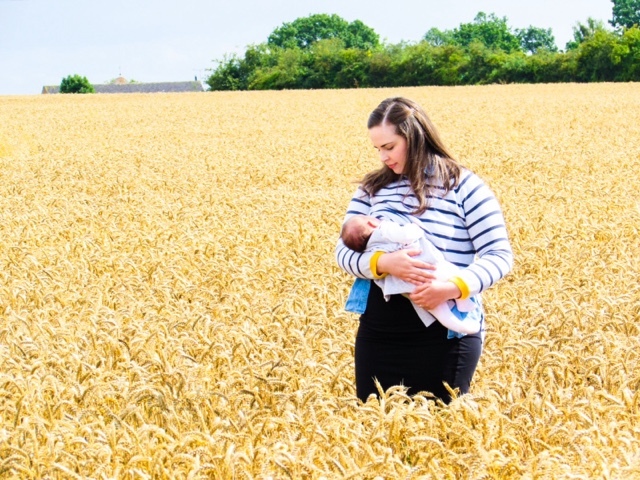 Love the idea of specialist BF clothes - it certainly isn't anything expectant and new mums even consider, is it really, but something that makes a great deal of difference! Love those clothes! I'm breastfeeding now and I never ever look nice these days I just wear what covers me the best. 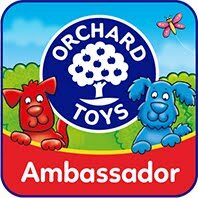 Well done Frugi! 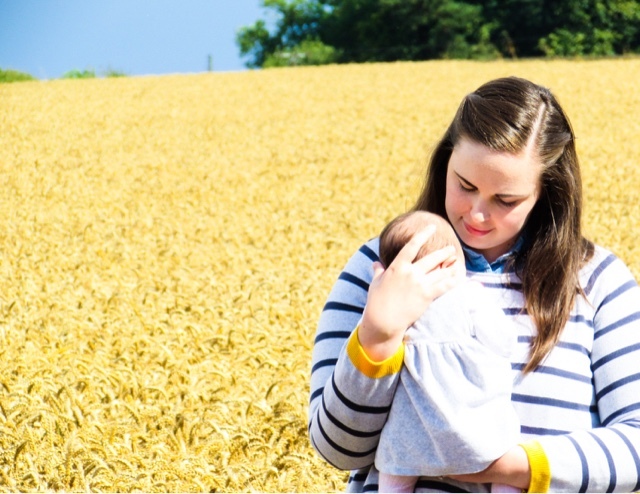 I love Frugi clothes, they are so well made and perfect for breastfeeding! 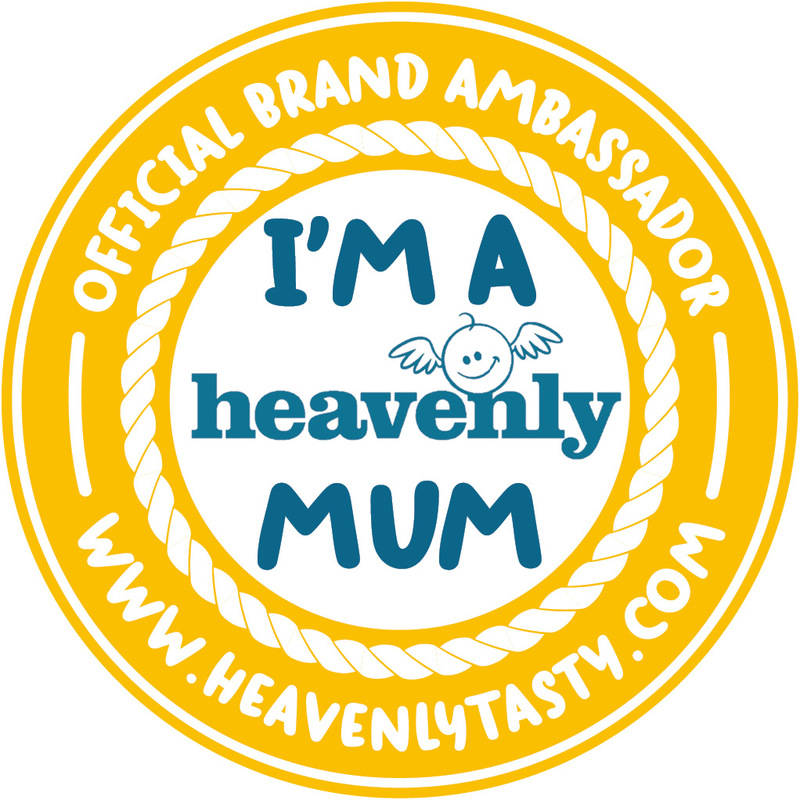 Absolutely fantastic for new mums breastfeeding! Even if not, they are just so lovely and a fantastic style range. I never had such cute options when I was a young mother. I will pass this on to my daughters. 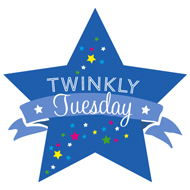 Thanks for sharing on #TwinklyTuesday! Thats amazing for new mums! Plus, the style is great too! Oh well done Frugi, these look great! 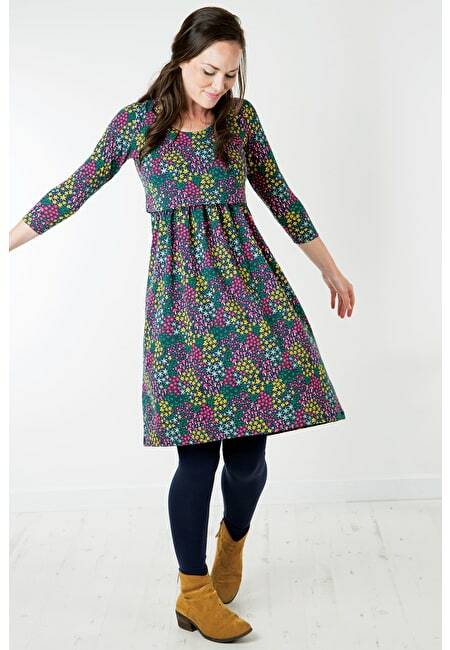 Finding nice nursing-friendly clothes is hard, these certainly fill a gap in the market. 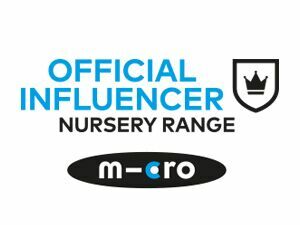 This is a brand I'd never heard of outside of my blogging friends. Your top looks lovely and it's definitely something I'm going to check out! I struggled to find breast feeding friendly pieces 4 years ago. Good to know there are now options. Love the top. I love the dresses!! I found it so hard to find any kind of dress I could nurse in . I had no idea they made breastfeeding clothes, they are gorgeous though! I wish they'd had cool stuff like this when I was feeding mine! 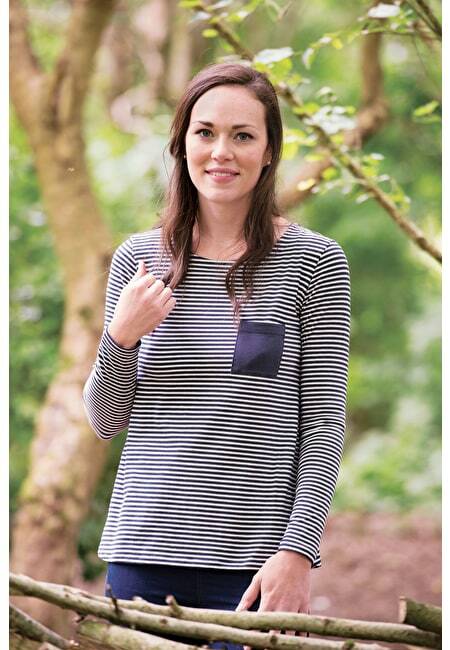 What a great range of clothes for mums! I love the stylish collection, my daughter now 3, when she was breastfeed all the clothes were plain jane boring, but not this collection.